In the General section 4 the only required detail you must provide is Project Name 5. 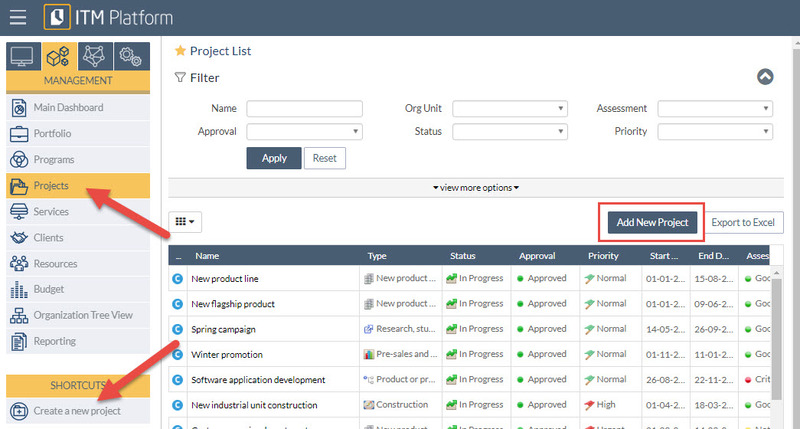 You will also be able to enter further details to help you classify and enrich the project datasheet. 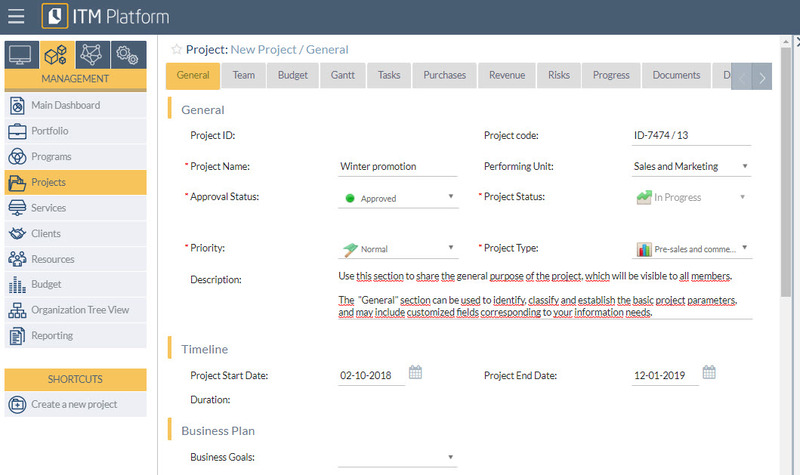 Once the general datasheet has been saved you can access the other sections where you will be able to perform actions such as assigning the team, creating tasks or specifying and performing budget monitoring.